On Veterans Day, I was reading about what was probably the darkest moment in the American Revolution. It was late September 1777. The Brits controlled New York, and the Americans had lost Fort Ticonderoga in upstate New York that July. In Delaware on September 11, George Washington lost the Battle of Brandywine: 200 Americans were killed, 500 wounded, and 400 captured. In Pennsylvania, on September 21, another 300 Americans were killed or wounded and 100 captured, in the Paoli Massacre. Washington’s army had been walking in the rain, and their ammunition was soaked and useless. At Valley Forge, 1,000 of Washington’s 9,000 troops were shoe less, and left bloody footprints in the snow. They lived on flour and water. The British captured Philadelphia on September 26, and the Congress had to flee for their lives. Of the fifty-six who had signed the Declaration, only twenty remained as they gathered for a private meeting in York. 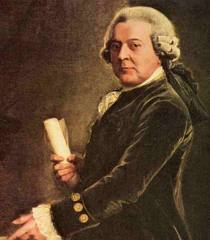 One of those present was John Adams’s cousin, the patriot leader Samuel Adams. His first wife and four of their children died of natural causes before the war began. At the Battle of Bunker Hill, British officers decapitated Samuel Adam’s close friend Joseph Warren and presented his head as a trophy to the British commanding general. 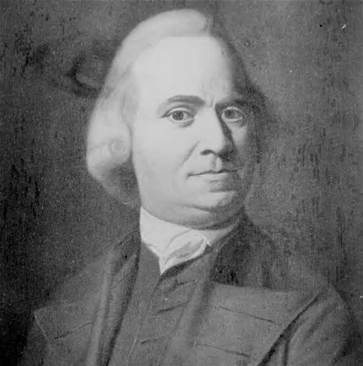 Samuel Adams had spent the better part of three years at the Congress in Philadelphia separated from his two surviving children and his second wife. “Matters seem to be drawing to a crisis.” he had written her recently. Back in Boston, the British soldiers ripped out the pews of Old South Church, where Samuel Adams’ father had once worshiped, covered the floor with dirt, and used the church as a riding academy. Samuel Adam’s own house in Boston was vandalized by British troops so badly that it was uninhabitable. 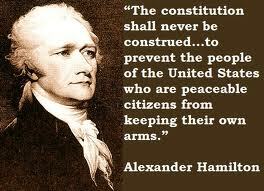 If the Revolutions failed, Samuel Adams could expect to meet the same fate at the hands of the British as Warren. Yet on that day in York in late September 1777, Samuel Adams, a slightly heavy, gray haired fifty- five- year-old with large dark blue eyes, a prominent nose, and a high forehead, gave his fellow member so Congress a talk of encouragement. And that’s the key isn’t it? Are we WORTHY of God’s aid and protection? Sam was. 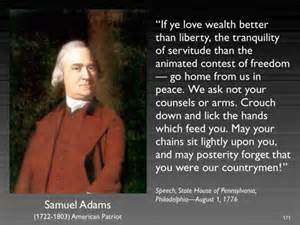 The History channel just got through with a mini-series about the start of the American revolution, called, “Sons of Liberty.” And so this week, (being as I hold dear fondness for the Adams’s) I thought I’d do some remembering of Sam Adams. I had to laugh at how they really romanticized Sam Adams, the man whose name was at the top of King George’s death list. …and yet, they just touched the mere surface of the man. Sam Adams was unbelievably young and handsome in the series, and while I was very glad to see some homage paid to the Adams family, since Washington D.C., has not YET honored them with any sort of monument…..everything I’ve ever read about the time, suggest they took great creative license with the script. But…you know what? It might at this time in our history, be necessary. We live in a culture that young people might not watch if a good-looking leading man was not cast. And we WANT the young to learn history. God knows, they are getting crap in the schools. In fact, the Continental Congress had to move out of Philadelphia in 1777, since the British were on the march, and fast. The Continental Congress all left the city in a rush, they would have all been hanged. Or worse yet, like Dr. Warren, Sam’s good friend, beheaded on Bunker Hill. The real Sam Adams was NOT a young man when the revolution started. He had lost his first wife and four of his children before the war started. The Old South Church where Sam’s father had once worshipped was ripped apart and used as a riding academy by the British. Sam’s house in Boston was vandalized by the British troops so badly that it was uninhabitable. They left that OUT of the series. And yet, on September 26, 1777, Samuel Adams…the slightly heavy, gray-haired, 55-year-old, gave his fellow member of Congress a talk, of encouragement. “Let us awaken the, and evince a different spirit , a spirit that shall inspire the people with confidence in themselves and in us, a spirit that will encourage them to persevere in this glorious struggle, until their rights and liberties shall be established on a rock. We have proclaimed to the world our determination “to die freemen, rather than to live slaves.” We have appealed to Heaven for the justice of our cause, and in Heaven we have places out truss. Numerous have been the manifestation of God’s providence in sustaining us. In the gloomy period of adversity we had had “our cloud by day and pillar of fire by night.” We have been reduced to distress, and the arm of Omnipotence has raised us up. Let us still rely in humble convince on Him who is might to save. Good tidings will soon arrive. We shall never be abandoned by Heaven while we act worthy if its aid and protections. On October 17, at Saratoga, the American General Horatio Gates accepted the surrender of 5,8000 British soldier lad by General John Burgoyne. And this victory brought France to our aid…so Sam was right. In the year 2000, my mother paid for my airfare to go to Boston, because I couldn’t afford it. It wasn’t until after suffering from a deep depression, did I take my mother’s advice and go to search basically– for myself. 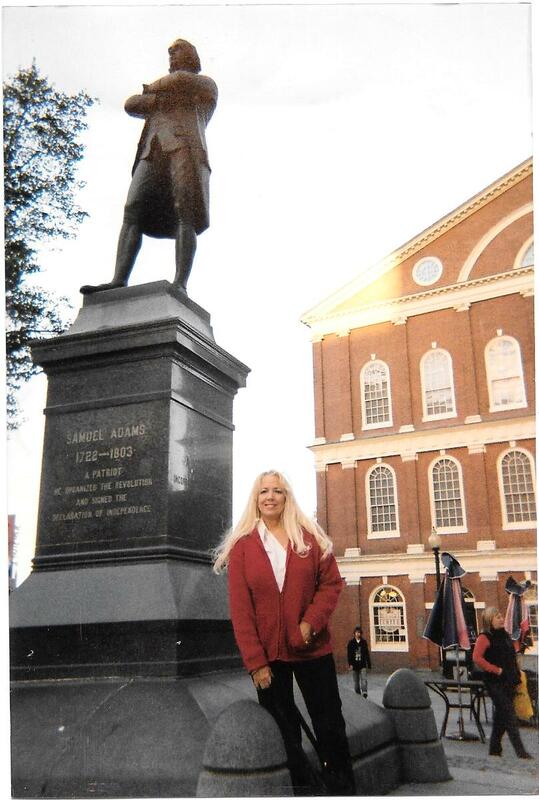 I hit Boston, Braintree, Bunker Hill…The gravesites of the Adams’ …all of them. What I found, was the remarkable story of a few men, in Boston, who dared to say, against all odds, to the might King of England…no. We are not colonists. Sam Adams was not a rich man…and he truly was, the man who rallied Boston to resistance. 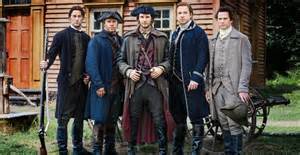 So, while historically speaking, history is twisted here and there by script writers, I can honestly say, I’m very glad Sam Adams got shown on the History Channel last week. As you can see from the picture, I got his legs, his big forehead (of which I have been embarrassed all my life) and most of all, much to most everyone I know, an insufferable love of justice and hatred of tyranny. Which—- as the Nobody that I am, if I must say so, is about as American as you can get. 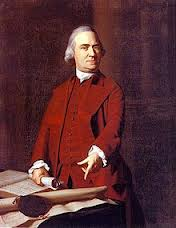 “For depth of purpose, zeal, and sagacity, no man in Congress exceeded, if any equaled, Sam Adams. I am so mad I could spit. Nancy Pelosi is going to the border to welcome the illegal’s with open arms? And helping her out is Zuckerface? How DARE they mock the sovereignty of the citizens of the United States! How DARE they put this great nation, on the road to poverty, demise, and tyranny…. Philo Patriae and Paces, Vindex the Avenger, Determinatus, Decant Ara Togae, (weapons are under my cloak!) Principiis Obsta: (principle obstacle) , Valerius Poplicola, Candidus, and Populus. 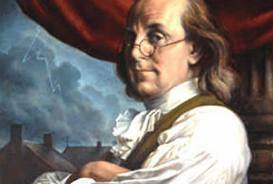 He was also: An American, A Tory, Alfred, A Son of Liberty, A Puritan, and A Religious Politician– among many. And Sam wasn’t the only one who wanted to remain anonymous. Alexander Hamilton pens names included Publius, Pacificus, Catallus, Americanus, Metellus, Horatius, Philo Camillus, Tully, Monitor, Phocion, The Continentalist, and H.G. Benjamin Franklin was Silence Dogood, and Polly Baker and Richard Saunders and Anthony Afterwit, Martha Careful, Alice Addertongue, Celia Shortface, Harry Meanwell, Fanny Mournful, Obadiah Plainman, Busy Body, and Sidi Mehemt Ibrahim. 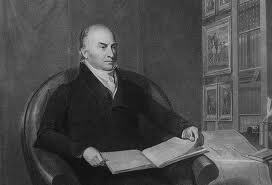 After Thomas Paine wrote an anonymous pamphlet criticizing President George Washington‘s policies, John Quincy Adams (John’s son) wrote a series of anonymous articles called “Publicola”, defending the president. They were so well done people assumed his father wrote them. And I even write under a pen name…Joyanna is a combination of my first name and my grandmother’s name…and Adams is not my married name, but I picked it out of respect to the founding Adams, as I am a direct descendant of that family on my mother’s side. I really didn’t want anyone to know my married name. In this country, writing under a pen name, thus remaining anonymous, has been protected by the Supreme Court. Anonymous pamphlets, leaflets, brochures and even books have played an important role in the progress of mankind. Persecuted groups and sects from time to time throughout history have been able to criticize oppressive practices and laws either anonymously or not at all. . . . Before the Revolutionary War colonial patriots frequently had to conceal their authorship or distribution of literature that easily could have brought down on them prosecutions by English-controlled courts. . . . It is plain that anonymity has sometimes been assumed for the most constructive purposes. SO…what in the world is this new bill being proposed in the Illinois Senate all about? A new bill proposed in the Illinois State Senate looks to completely wipe out any form of anonymity on the internet by requiring that the operators of basically any website on the entire internet take down any comment that isn’t attached to an IP, address, and real name-verified poster. 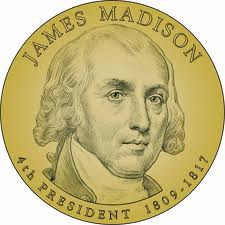 If James Madison, Alexander Hamilton and John Jay were alive and publishing under the false name “Publius” today, they would be prime candidates for prosecution under Virginia’s anti-spam law, and the Internet Posting Removal Act. They would most likely be using the Internet to get their message out to as many fellow citizens as possible. They could be arrested for speaking their minds on important issues of the day. 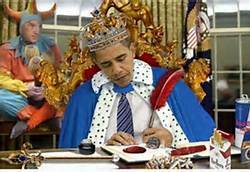 Clearly, Obama’s government wants to know WHO is writing the essays and blogs against them. Sure, there are some bad people out there spamming, but making it a crime to not sign your real name is not how are country was founded. It is a right, given to us by our founders. If not for them, we wouldn’t be here. And I’m sure Alice Addertongue would agree with me 100 percent! Sound familiar? Think Federal Reserve. So, out of this ‘depression’ came two distinct social classes :rich and poor. The rich were the British governors who hoarded, and it wasn’t until 45 years later that the American ‘revolution’ came..and it came with mobs. The mobs of Boston, of which there were two…North and South, which by the way, didn’t get along until Sam Adams united them, had their nemesis in Thomas Hutchinson. HE outlawed paper money through Parliamentary legislation. In 1750 the mob went after his house, and burned it. And he wasn’t the only one they went after: in fact they had a hit list of 15 houses. Nobody says that sounds like Obama…does it not? Due to the depression of 1731, the merchants of America started illegally trading with other countries and making themselves wealthy, not the British empire. The colonies were run by a few British oligarchic families. 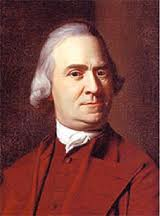 Sam Adams, who by this time had discovered his true talent, writing, spent his life continuing his father’s pastime: politics. 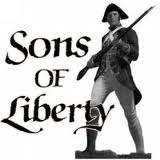 Everyone read Sam Adams in the newspapers, and at night the citizens would go to the pubs and out of those pubs came the Sons of Liberty, formed in 1765. 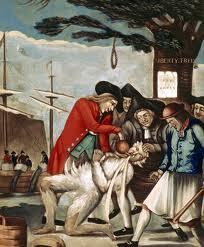 Of course, sometimes those “Sons of Liberty” got a little too drunk on rum and went looking for houses to burn. King George had his own problems. He was in debt for the French and Indian War, (And his own wars against the French overseas) and the citizens of Britain thought the colonies were fat and happy,— THEY didn’t want to be taxed anymore. Something had to give. So, when the stamp act came, Sam lead the way with “no taxation without representation.” And Sam —-took control of the ‘mob’. Sam was asking for British rights. If we were going to be taxed, then we should have a voice. That concept is from the English Magna Charta. People should have a voice, but the Americans didn’t. 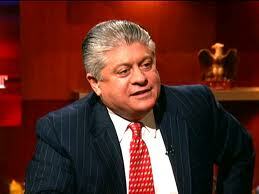 So Napolitano has it right. The revolution was mostly about our freedom. Nobody Thinks that history seems to be repeating itself. The American people are being taxed and put into a debt they can never repay, by an oligarchy much like the one that ruled us in the beginning. The elites are well aware of the imparity. They know that the people are getting pretty fed up, as we did so long ago. That’s why they are taking our freedoms in the name of “protecting us.” They’ve made too many promises, and squandered trillions. Many people are predicting “mobs” here in America. Van Jones, wants to take control of those mobs. But, unlike Sam Adams, Van Jones is a communist. Communists make revolutions in order put in dictatorships, as a means to an end. Van Jones is calling for more protest this weekend. Sam Adams, joined the two mobs of Boston, and brought us…in the end…freedom. 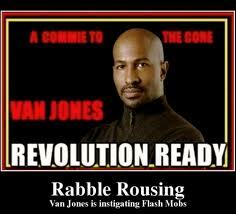 Van Jones revolution will bring us…tyranny. So next time you hear Van Jones talking about ‘revolution’ remember: Pick your revolutionary leaders well., or else next thing you know…you’ll be ordered to read Stalin’s’ exercise book, and all you will be able to afford to eat are vegetables grown in China. Van Jones can take his “green” revolution and stick it where the sun don’t shine, which is probably what Sam would have said had been living in 2012. God Bless Sam Adams…In 1775, America picked the RIGHT revolutionary.